Adler was briefly fired from the band, but was reinstated after signing a contract promising to stop using drugs. On April 7, 1990, he performed with Guns N' Roses at Farm Aid IV in Indiana. It would be his last appearance with the band. When problems in the studio continued, he was formally fired on July 11, 1990, during the recording of the Use Your Illusion I & Use Your Illusion II albums, and replaced with Matt Sorum. The official reason for his departure, according to various members of the band, was his heavy substance abuse which impeded his ability to work. 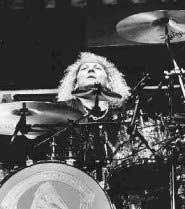 Geffen A&R rep Tom Zutaut, who worked with Guns N' Roses, corroborated this claim, stating in a 1999 interview, "Steven Adler would show up at the recording studio completely high. Recording sessions would abort for several days when he couldn't put it together."